Last week I offered a few tips for those about to prepare a piano piece. These tips were primarily concerned with pre-practice elements (you can read them here), and today’s post proffers a few more ideas which I hope may be of interest. Once you’ve marked up your score and have studied its structure, it’s time to get practising. 1. 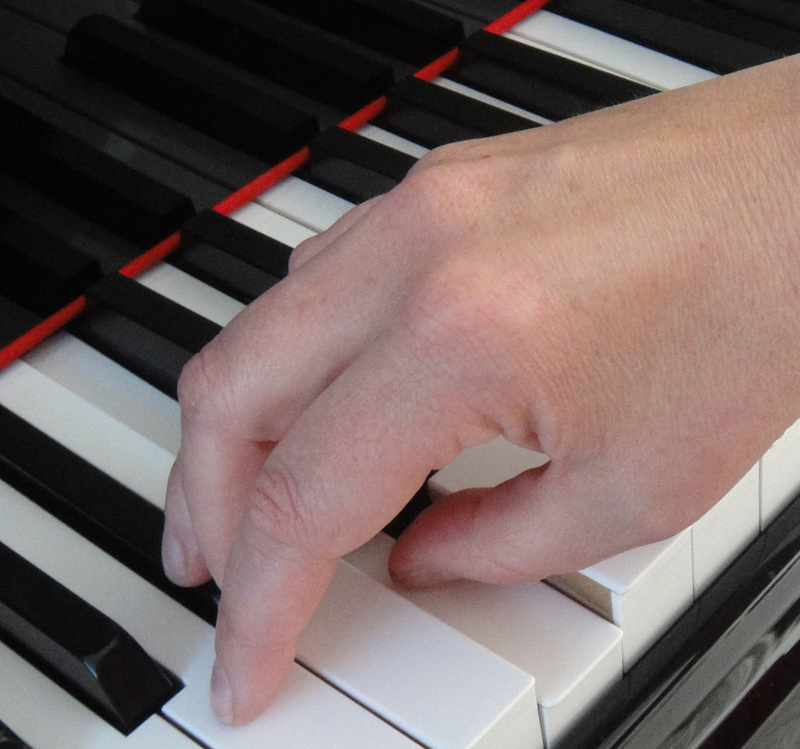 Much has been written about practising hands separately to start with, and there’s no doubt this is the way to go, particularly with complicated works such as a fugue or sonata, but how practice is actually done in this respect can make all the difference. Depending on level and standard, try to familiarize yourself with note patterns. It can be helpful to ‘speak’ the names of each note at first (bar by bar) and then find the corresponding keys on the keyboard. This might sound very basic, but so many pupils suffer from being unable to ‘find’ notes quickly, and this hampers ability to spot note patterns and position changes. 2. Take one line at a time (first right hand then the left) playing and mentally digesting every note, using correct fingerings, but without adhering to the pulse or rhythm. This should allow space to find all the notes, and even more importantly, be aware of hand position changes (which will be especially necessary if large leaps and chords are an issue). Work bar by bar at first, then line by line. If you practice bar by bar, aim to stop on the first beat of the following bar as opposed to the end of the one you are practising, as this will make continuity that mush easier when playing the whole line (or piece). Pay attention to the sound you are making, and aim to produce a rich timbre on every note. Conjuring a large sound at the start of practice, will make it easier to pull back and change the tone quality later (i.e. playing softer, lighter etc.). At this stage of practice, check how your body feels; do you feel suitably relaxed and free when playing? Try to ensure easy movement around the keyboard at all times, banishing any tightness or tension. 3. Now turn your attention to the rhythm. Find a steady practice tempo (usually no faster than a third of the intended speed), and set about ‘feeling’ the pulse. The quickest way to do this is by using a metronome. Once you are aware of the beat and are firmly ‘sitting’ on the pulse i.e. not rushing or pulling back too much, but simply ‘predicting’ accurately where the beat will fall, tap the rhythm of the piece or first page of the piece, if it is lengthy, with both hands; the right hand tapping the rhythm of the treble, and the left hand tapping that of the bass. This can help with understanding the rhythm and how the two musical lines interact and fit together. 4. Play through small passages hands separately (i.e. a couple of bars at a time); find all the correct notes (as before) but now play in time too. Much is made of counting (and it’s crucial in the early stages of learning a piece), but if you can learn to count aloud with a rhythmical, steady beat whilst playing, you’ll find keeping time is that much more accurate. Sub-dividing the beat can be beneficial as well. Eventually elongate practising in passages, so that you can play through the whole piece separate hands, in time (albeit slowly) with the correct notes. It might be necessary to repeat passages many times. I cannot stress enough the need to pay careful attention to the left hand; both the notes and the rhythm. The bass clef or left hand musical line drives a piece and to perform with real confidence and poise, this must be known as well (or even more so) than that of the right hand. 5. In order to achieve an even tone, experiment by playing each hand with various touches (legato, non-legato, staccato etc. ), thus helping to alleviate bumpy phrasing and uneven sound. When working hands separately, be aware of structure and phrasing. Sometimes, this element is completely forgotten what with attention being focussed on correct notes, movements and rhythm, but if you can achieve a beautiful sound and cantabile line, with effective phrasing and shaping whilst playing separate hands, then when hands are combined, the overall result could be spectacular. You’re now ready to put the hands together, and I will publish these tips next week. Happy practising!